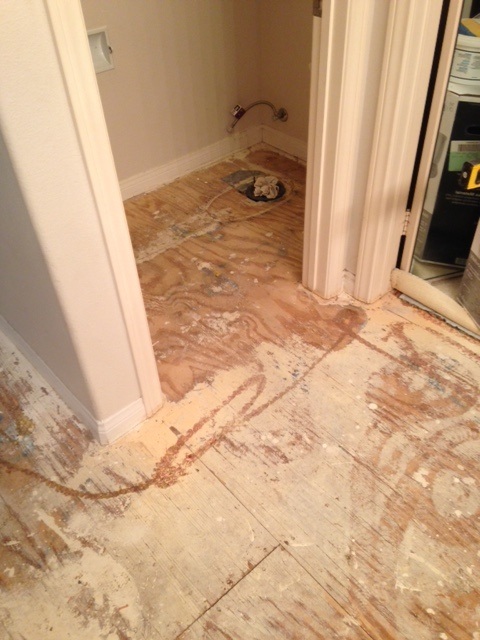 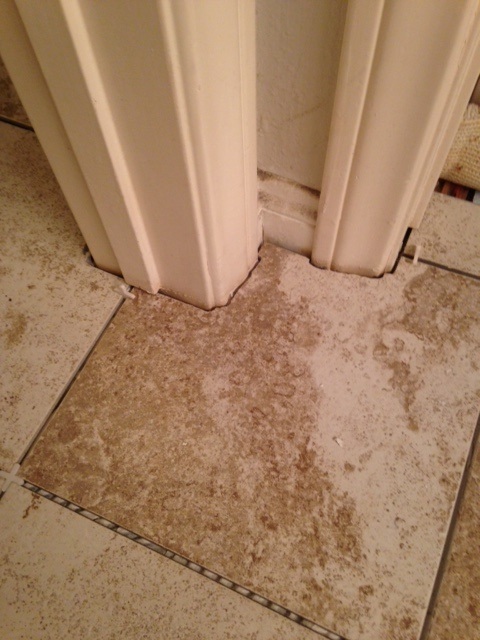 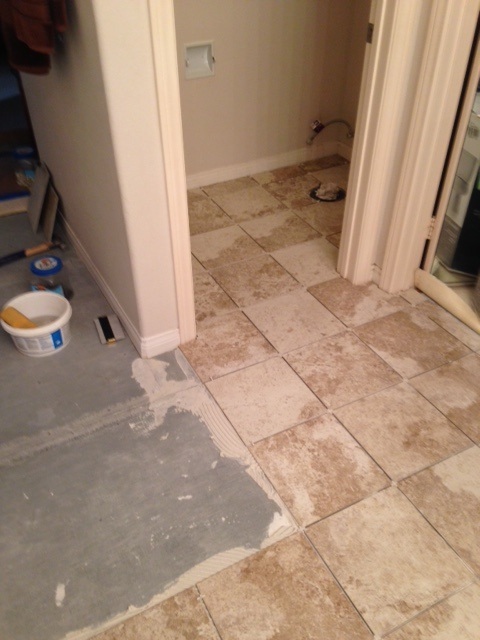 Mission Viejo home needing the carpet taken out of the bathroom, due to water damage and replacing with ceramic tile. 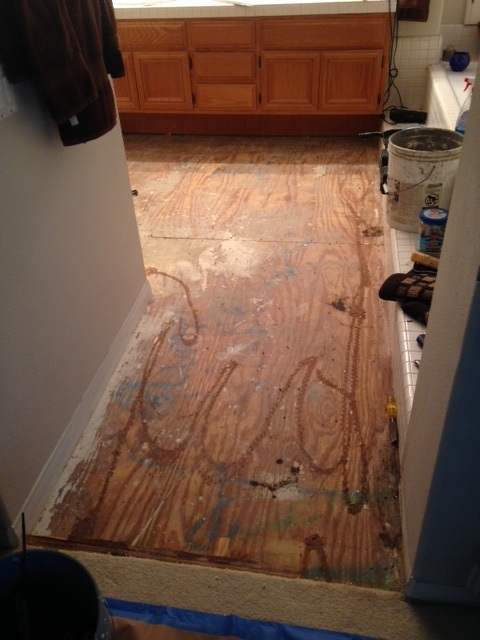 After floor is cleaned up from tack strips and padding staples, glass-crete/wonderboard installed as backing. 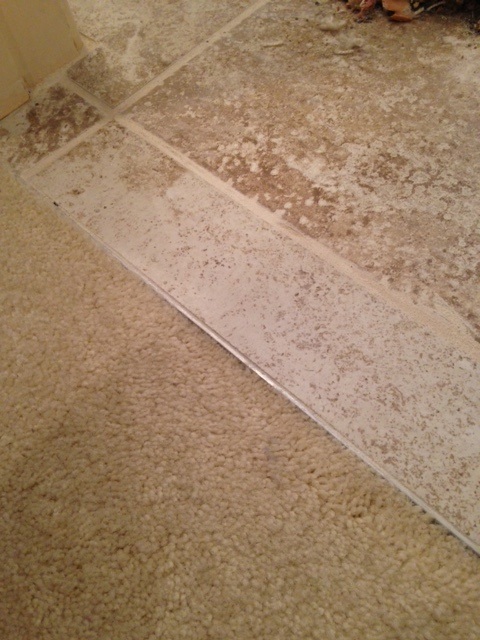 Edge metal is also used at passageway transitions to the carpeted areas. 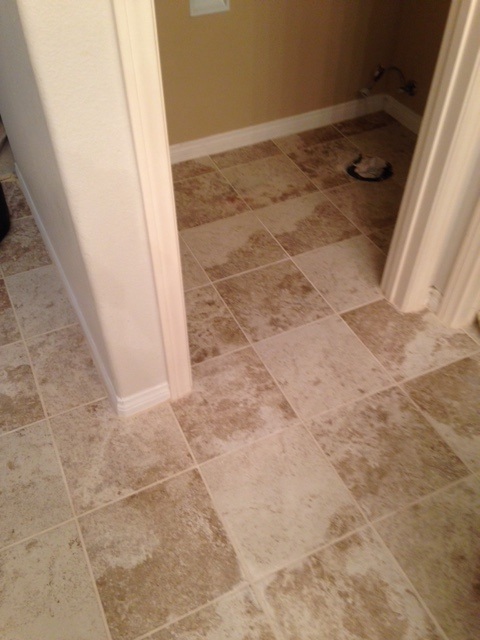 Note that the tile is "scribed' around the door trim, and that the tile layout is evenly balanced without small trips of leftover tiles and/or there are no large grout joints. 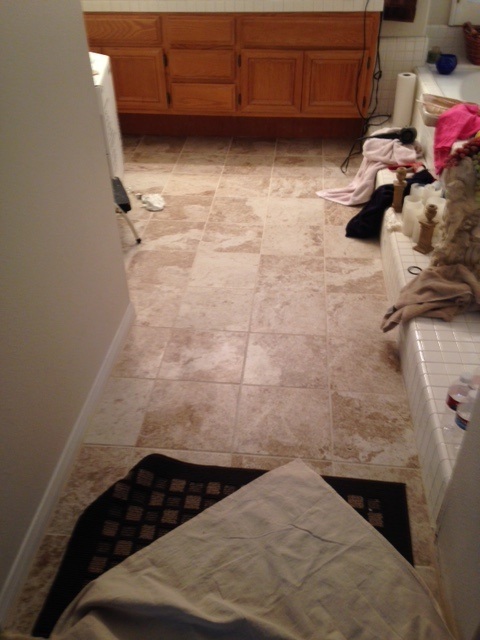 Same home needed repairs to the master bathroom shower.. 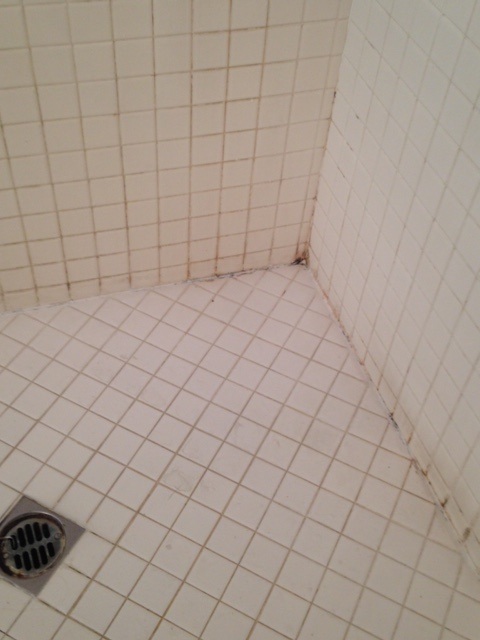 The shower needed the old layers of caulking removed, the gout needed sections removed due to stains, mold/mildew and loose/missing sections. 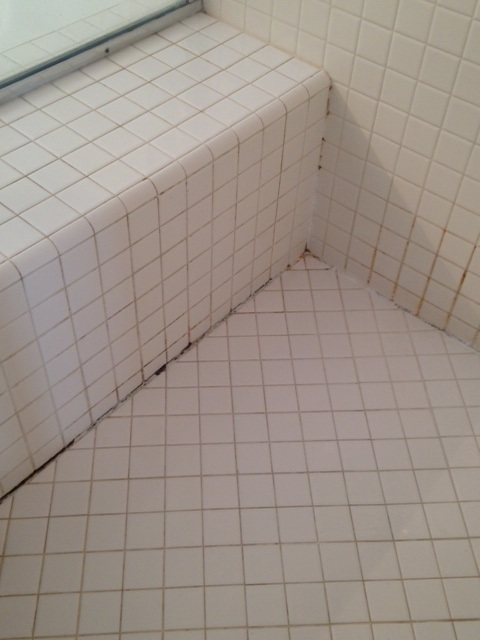 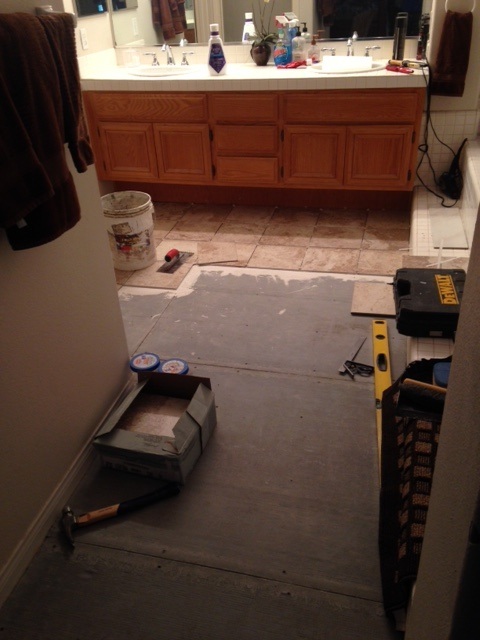 Additionally, dirt, and soap scum had to be removed prior to re-grouting and re=caulking.